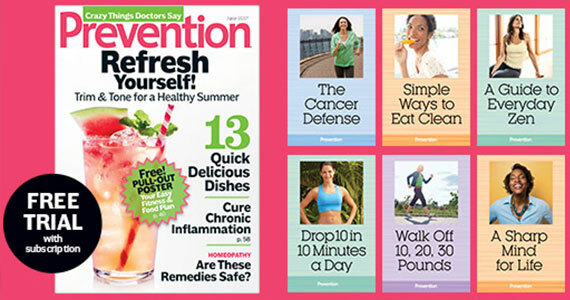 Sign up for a free Prevention magazine and 12 free magazines with subscription ($44.00 plus $3.99). Plus, get 12 free health reports when you subscribe today! Prevention Magazine is dedicated to making women’s lives more healthy and happy. Get the latest information on exercise, food recipes, gardening, health care, travel and more.